The latest (and perhaps last!) 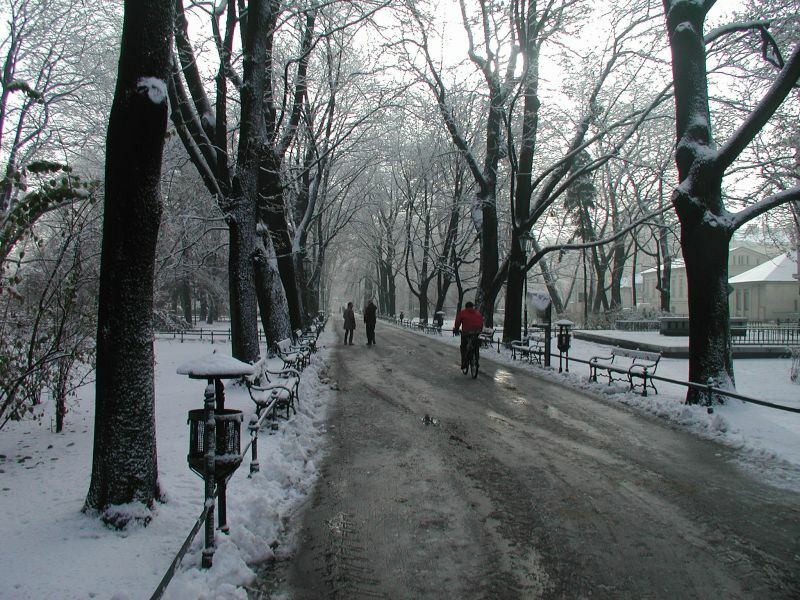 photos from Kraków feature Ian experiencing snow for the very first time. 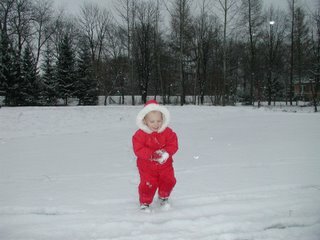 He's never before worn a snow suit and made snowballs! 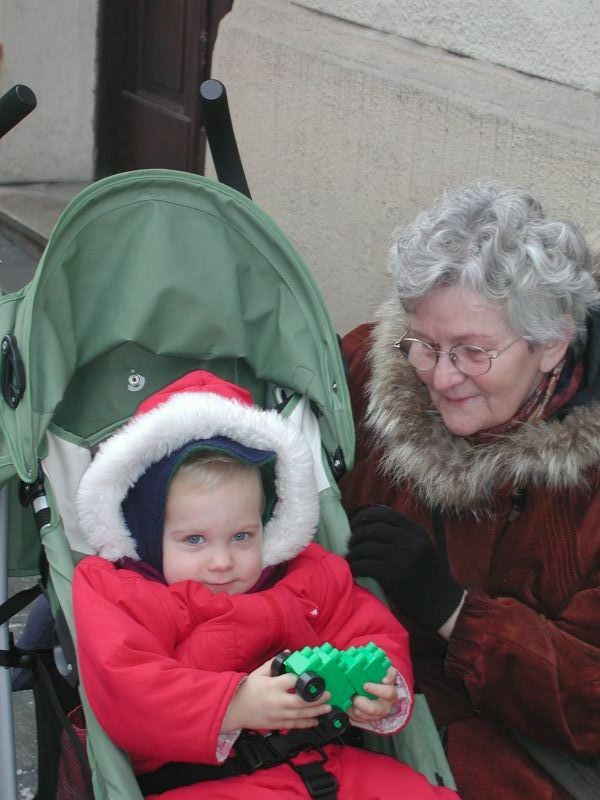 The Bureau is closing relatively soon as Marysia and Ian are returning to the U.S. of A. on 15 December. They'll spend a few days in New York en route and arrive in the Tuscaloosa-Northport Metroplex on 19 December! 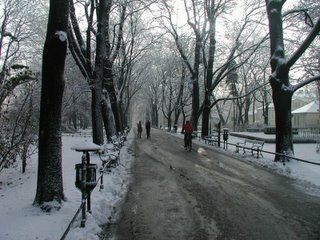 The Planty (a park that circles the old, walled city in Kraków) in the snow. Ian with Babcia Wala (Ian's babysitter) in front of the apartment.